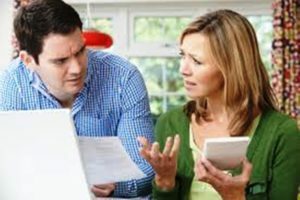 The following are the common mistakes debts make when filing for bankruptcy. If you fail to file all required forms and papers in your bankruptcy, you will know this right away. The court will issue an order giving you a limited to file the required documents. If you fail to file the required form, your case will be dismissed. Debts neither listed nor scheduled in the bankruptcy cannot be discharged. This means that if you omit a creditor by mistake, your bankruptcy will fail to discharge that creditor’s debts. This applies to Chapter 7 and Chapter 13. If you are unsure of all the debts you may have, get a copy of your credit report which should list what you owe to each creditor. This means that you have filed for Chapter 7 even though you know that you did not pass the “means test.” Or It also means that you filed for Chapter 7 with too much net income after deduction of your real expenses. 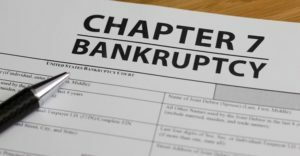 Your case will be converted to Chapter 13 and you could be sanctioned for filing the wrong bankruptcy. When filing for bankruptcy, you must properly list all of your assets and properly exempt them on the exemption form. If you omit the statute providing for the exemption or fail to list the proper amount, your exemption may be contested. This means that you may not be able to keep the item and the trustee may sell the item. All individuals must complete a class in “Debtor Education” class during their bankruptcy. Usually, the Debtor Education class will cost $50.00 from a credit counselor (certified to offer such a class by the US Trustee’s office). Failure to complete the class prior to discharge in the case of a Chapter 7 will result in your Chapter 7 case being closed without your obtaining an order for discharge. You will have to re-file the Chapter 7 again in order to achieve a discharge. Upon filing your bankruptcy (whether Chapter 7 or 13), the court will notify you of the date of your Meeting of Creditors. At the Meeting of Creditors, a “trustee,” who is responsible for your case, will ask you general questions about your assets and liabilities. If you fail to attend the Meeting of Creditors, your case may be dismissed. 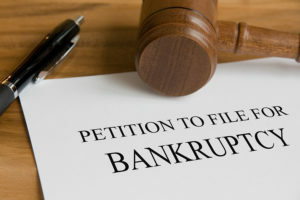 Next PostShould You File Bankruptcy?